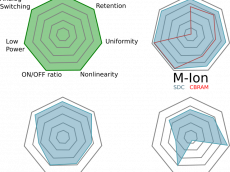 XChart features a dead-simple API for turning your data into beautiful charts including line, scatter, area, pie, donut, bubble, stick, bar, and histogram charts. Extra features include: real-time, themes, CSV import and export, export as PNG, JPG, BMP, GIF, SVG, EPS and PDF and much much more. For full description and examples visit the project on Github! Migrating to Dropwizard version 0.7.0 was anything but straightforward so I thought I would share some of the migration changes need for upgrading to the latest release of from version 0.6.x. The Release notes are a good place to start, but beyond that any hints or guides for upgrading are pretty sparse. This will not be a complete guide and will only cover the specific issues I had to deal with. A working example is availbale at our GitHub project called XDropWizard. XDropWizard is a jump-start web application integrating and demonstrating several useful open source projects such as Yank, Sundial (a Quartz fork), Flot, Bootstrap, AngularJS, HSQLDB, XChart, JUnit, etc., and demonstrates how to serve static content, dynamic content loaded into Freemarker templates, using AJAX and more. The README file has clear instructions on how to build and deploy the app using Maven as well as explanations for how to integrate a plethora of capabilities into a Dropwizard-based web application and web service. 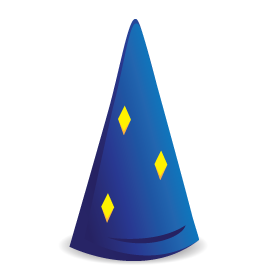 Dropwizard’s namespace changed from com.yammer.dropwizard to io.dropwizard, so all your import statements and Maven pom dependencies need to be updated. Several Dropwizard modules were broken up into smaller modules, and it was required that extra dependencies were added to pom.xml. Following is an excerpt from the upgraded pom. Once I added the dropwizard-views-freemarker dependency, the error went away. Converting the configuration file took the most amount of effort. Apparently the preferred way to access the admin features of Dropwizard is now via the same port as the application, but at a different root URL path. I also wasn’t sure if I should choose the simple server type of the default. I ended up using the simple option. Setting up logging was a pain as well as the official example Dropwizard app’s configuration file is very minimal. Getting my preferred console and file logging configured was a pain. I noticed that the yml file has to be perfectly formatted otherwise starting of the app will fail. Indenting and spacing must be perfect. Below are the before and after versions of the configurations file in XDropWizard. The Service class was renamed to Application, so you’ll need to change that right away. In the initialize method, I removed the bootstrap.setName("xdropwizard-service"); method as the setName method seems to have been removed from the API. Adding resources to the application used to be done like this: environment.addResource(new YankBookResource());. The new way to do it looks like this: environment.jersey().register(new YankBookResource());. Adding tasks to the application used to be done like this: environment.addTask(new LockSundialSchedulerTask());. The new way to do it looks like this: environment.admin().addTask(new LockSundialSchedulerTask());. Adding tasks to the application used to be done like this: environment.manage(sm);. The new way to do it looks like this: environment.lifecycle().manage(sm);. For a completeness, the Application class is pasted below. Migrating from DropWizard 0.6.x to 0.7.0 can be a bit tricky due to lack of an official migration guide. I hope some of the above examples are helpful to others. Join our low volume mailing list to receive the latest news and updates from our team. Subscribe to our low-volume mailing list to receive important updates and announcements directly in your inbox. ©2015-2019 Knowm Inc. All rights reserved.